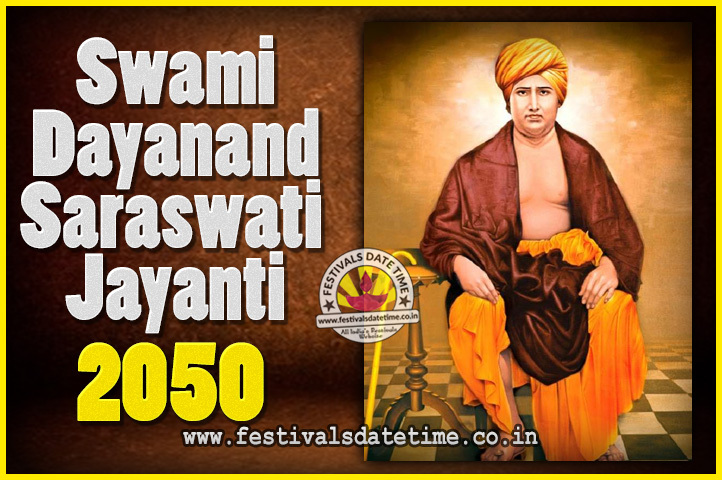 Swami Dayanand is remembered with reverence and affection among the social-reformers of the nineteenth century. He was also a renowned scholar of the Vedic lore and Sanskrit language. He was the first to give the call for Swaraj as "India for Indians" in 1876, a call later taken up by Lokmanya Tilak. Dayananda Saraswati was born on the 10th day of waning moon in the month of Purnimanta Falguna, As the tithi Falguna Krishna Dashami falls on 24 February 1824 on the tithi to a Hindu family in Jeevapar Tankara, Kathiawad region (now Morbi district of Gujarat). His original name was Moolshanker, but on being initiated into sannyasa by Swami Purnananda at the age of about twenty-four years he became Swami Dayananda Saraswati and it is by this name that he is now known to the world. 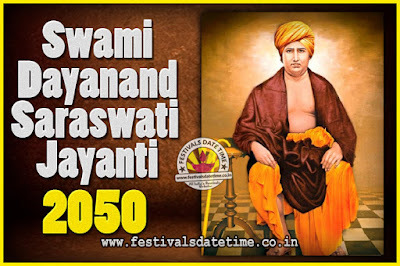 Swami Dayanand Saraswati Jayanti is observed as a dry day in the remembrance of the great Hindu monk who has contributed immensely to the traditions and cultures followed by Hindus in today’s world.